Factfulness Ola Rosling is a Swedish statistician known for his work for Gapminder on changing global quality of life. He is the chairman, director and co-founder of the Gapminder Foundation Rosling co-founded the Gapminder Foundation together with his wife Anna Rosling Rönnlund and his father Hans Rosling. Ola Rosling leading the development of the Trendalyzersoftware that converts international statistics into moving, interactive graphics. The software was bought by Google in 2007 and Ola Rosling and his team worked for Google from then on. 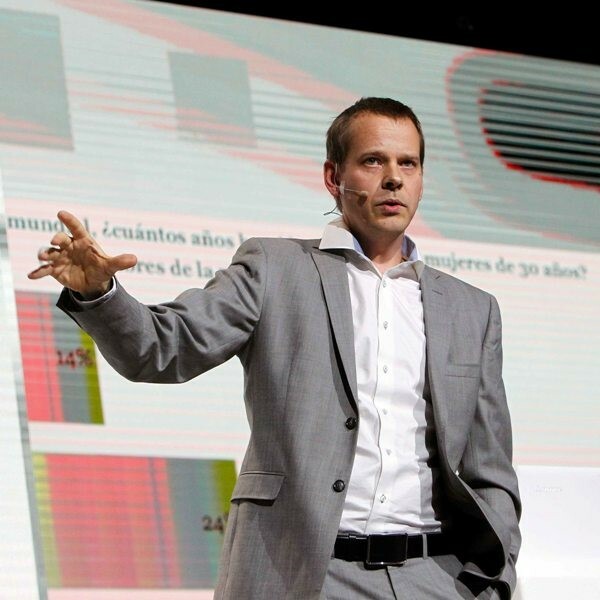 Ola Rosling was Google's Public Data product manager. For this work he and his wife were awarded with the World Technology Award in Design in 2010.